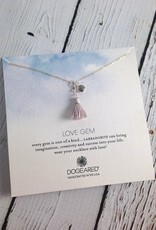 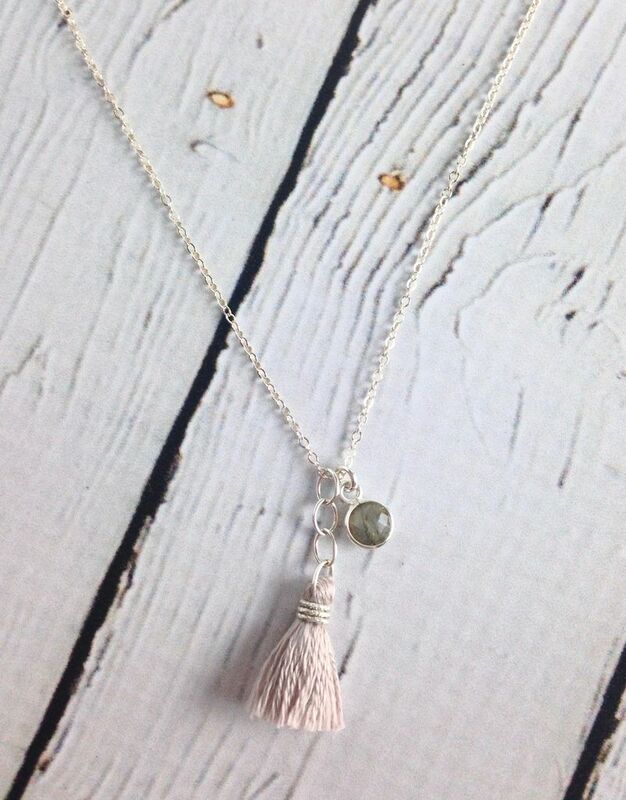 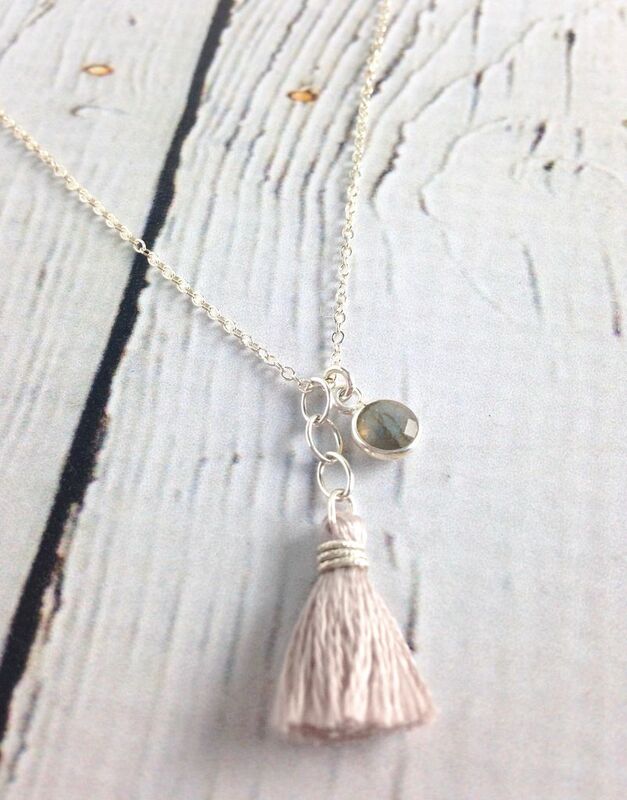 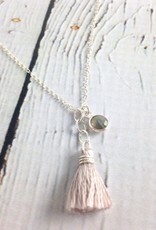 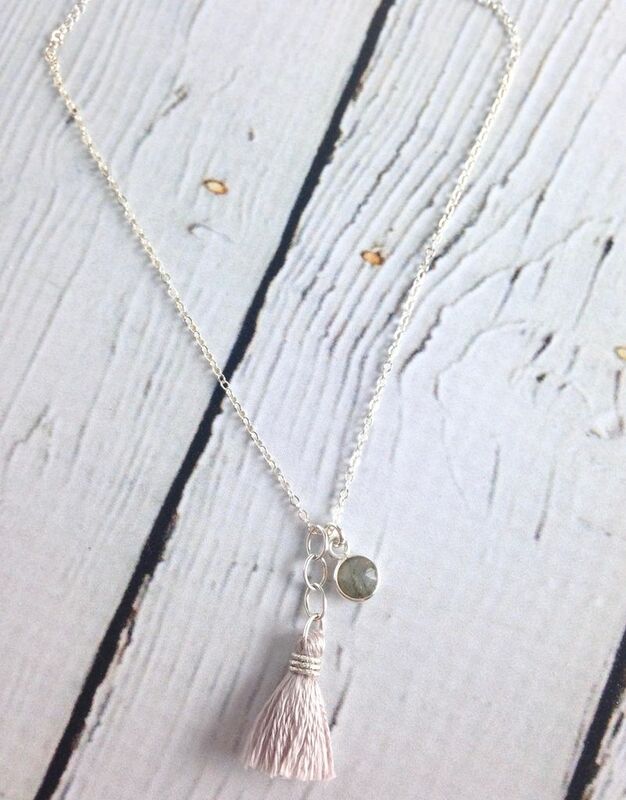 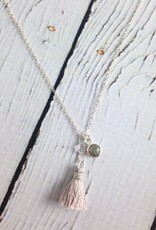 Sterling silver necklace with labradorite charm and pale grey silk tassle. 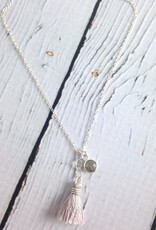 Necklace measures 18” long with lobster clasp closure. 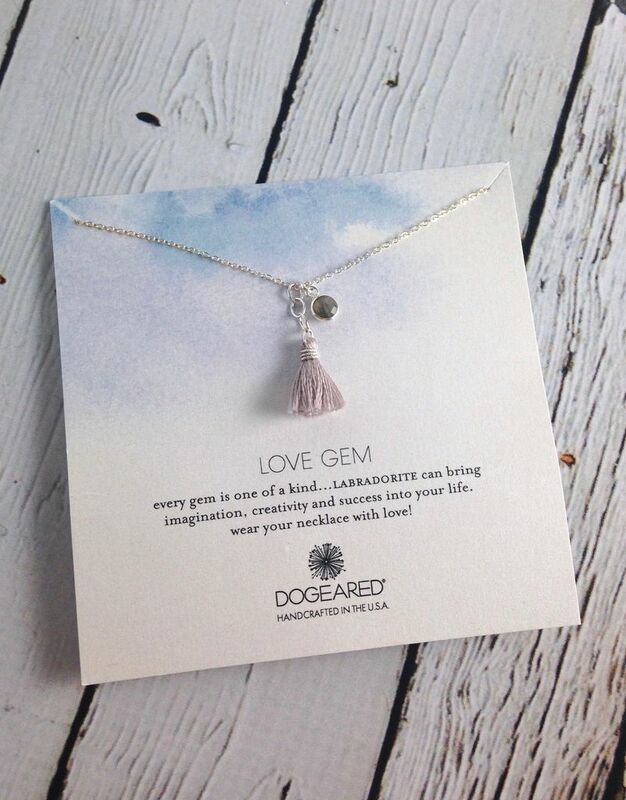 Comes on a Love Gem message card.